I remember when I first started out on my health journey that I would spend countless hours, days, months, even years, searching for answers to the hole I had dug for myself. I can wholeheartedly say that I feel better right now than at anytime in my life. Yes, there are some things I want to work on. For example, for the past 6 weeks, I have for the first time ever, had really bad lower back pain. I could slip into victim mode and curse the universe for taking away my natural movement ability, but instead, I know this is a beautiful message from my number one messenger; my body, to adapt. It’s kind of crazy and mind-blowing really how life gives us what we need in order to get to the next level. For the first 6 months of this year, I had been a bit relaxed with my yoga and stretching routine, and I wondered in the back of my mind how long I could get away with it. You see, in just a couple of months, I turn 40. It blows my mind that I am almost 40 and have a near teenage son because I honestly believe that as we age we can get better and better in every area of our lives. Especially with our health. Why do we look at ageing as a period of decline? Screw that belief system! We all have the ability to be better today than we were yesterday. And that’s what this episode is all about. We get one body, so let’s do the things that give us the greatest bang for our buck. Ok? My lower back pain is due to ridiculously tight hamstrings. Air travel, a new workout routine, not getting my 10,000 steps in every day, sitting at my desk creating content and music for you… all of these things shorten the hamstrings. It was only so long before the universe gave me the sign to adapt and take my self-love to the next level. But now I find myself having to undo that physical manifestation, which will take some time when instead I could have just stuck to what I knew would give me the results. That’s what this show is all about. These top 10 things you can do today to transform your health are the 80/20 of health hacks. There are a million things that you could be doing for your health, but if you do just these top 10, your life will be totally transformed. This one may sound a bit simple, but what does it really mean to eat more plants? Whether you are an omnivore or a vegan, it’s about eating the right vegetables and the right amounts too. When you look at your plate, at least 80% should be vegetables. For me, organic or spray free plants make up around 90 to 95% of my diet. But I have tuned in and done the work to understand what vegetables work for my body type. In Ayurveda I have a Vata Pitta constitution, so what works for me is a diet high in carbohydrates. If the word ‘carbohydrates’ sparks fear into your paleo/keto heart, then please check out episode number 53, Why I Broke Up With Bulletproof Coffee. I eat around 80g of animal protein per day, not because I love eating animals, but because for my body which is naturally more catabolic, it does very well with a small amount of animal protein. For my constitution, it is best to have cooked, starchy and easy to digest vegetables, but if you are more Pitta you may do well of raw veggies. That’s the thing about any blanket advice.. it is always incorrect because it is not looking at you as an individual. If I were to believe all the hype around a raw diet, you would slowly see my waste away because I am just not going to be able to break down many of the hard to digest fibres in raw plants, which would result essentially in malnutrition and malabsorption. To learn more about your body type check out my Ayurveda Series 1 and 2. After listening to these episodes you will have a much better idea of what types of vegetables will make you thrive. There have been numerous studies on the ill effects of overconsuming protein. But here’s the shock horror for you; one massive study showed that it didn’t matter what type of protein, whether it was plant based or animal, both groups showed a pretty equal increased risk of death when protein exceeded 20% of the diet. That’s huge right? The sweet spot was around 10-15% maximum. Eating excess protein has been shown to have a similar risk of disease to smoking. Everyone is going to need their own unique balance of macros between protein, carbs and fats. If you are a pro athlete then, of course, your protein is going to be higher. But for the majority of us, we really want to be tuning in to our protein intake. Eggs for breakfast, animal protein at lunch and dinner and a protein smoothie thrown in after your workout is going to really move the needle in the wrong direction. If the majority of your meals are plant-based with the occasional focus on a higher protein source at one meal per day, such as legumes, nuts and seeds, eggs or animal protein, then this is going to see you within that optimal zone of increasing your health and longevity. Just keep a mental note at each meal, and remember 90% plant-based is a safe bet for most people. It’s no secret how much I love essential oils. And why wouldn’t I? It’s mother nature in a bottle. They are powerful plant-based medicine. Essential oils are one of those things that you just need to get started with before you can really understand just how powerful they are. But remember not all oils are created equal. There are a few good companies out there, but none of them come even close to the quality of doTERRA. There is a beautiful culture within the doTERRA community where you don’t speak about any competitors. It’s just not worth the debate when there is no debate to be had. I have been in Nepal harvesting Wintergreen and seen first hand the impact this incredible company has had on the communities they work with, which is what doTERRA calls Co-impact Sourcing. You can head to the website SourceToYou.com and enter the batch number from any doTERRA bottle to see exactly what is in that very bottle you have in your hand. All third-party tested. I have met with the top purity testing company in the world who have stated publicly that doTERRA is the only company that will never sell oils unless they are 100% Certified Pure Therapeutic Grade. Look, I know you may have heard things about different companies, but it’s my mission with this show to only bring you the best of the best, and when it comes to oils there just is no equal. I may be going out on a limb just talking about this, but if you are going to use essential oils on yourself, your family and internally, they have to be pure. And there is no other company I trust like doTERRA. The reason this company has grown to over 2 billion dollars per year in just 10 years comes back to one thing; integrity. Integrity as a company, integrity with its leaders, integrity with the way they source their oils, integrity with the way they treat their customers and integrity with the impact they are having on the world through their Healing Hands Foundation. Honestly, I could go on and on about this but really the best way is to see for yourself by getting these gifts from mother earth into your life and grabbing yourself some oils which you can do simply by heading here. We want as much as possible to reduce cortisol on our bodies which is the hormone we release when we are stressed, which to be honest is most of the time. How do we do this? Slow Down – don’t be in such a rush all the time. Schedule white space into your day so you have time to just ‘be’. When was the last time you just sat in the park for an hour with no phone, no book… nothing? Just you in silence. Meditate every day – I have done a whole episode on this called Why Self Awareness Is Key. Breathe – our life force, our prana, our chi is fuelled by our breath. It can easily be overlooked as being too easy to have a real effect, but let me tell you, breath is where it’s at. Which is why I have a whole series coming up dedicated to the simple and transformative tool which we can all do for free. But for now, whenever you feel stressed, or when you are in bed, just try taking 4 deep breaths. 4 seconds on the inhalation, 8 seconds on the exhalation. This will put you very quickly into the parasympathetic nervous system state which is where we want to hang out way more than in our sympathetic stressed state. Stretch – we have to keep our bodies nimble and flexible. Very few things do this better than yoga. Check out episode 13, My Morning Routine Secret Weapon, for my top yoga app recommendation. Seriously this is a game changer! This is magical on so many fronts. It gives your body plenty of hydration which is exactly what it needs in the morning after a whole night of slowly dehydrating. It supports the liver and detoxification process. It’s easy to digest at a time of the day when your digestion is weakest. It gets low glycemic fruit into your diet every day such as wild blueberries. I could go on and on, which is exactly what I did in episode 92, The Ultimate Breakfast For You (And Your Family). In that episode, I even break it down into recipes specific to your body type, plus loads more info on why a big berry smoothie really is the ultimate way to start your day. When you cook any fat, even the more heat stable fats like tallow, you are going to cause some level of oxidation. And here’s the thing, this world we live in causes oxidative stress and damage with just about every breath we take, so why would we want to ingest any foods that add to that toxic load? I know what you are thinking; how am I going to cook anything? Simple, steam as much as you can and use oils as a dressing, not for cooking. You can hear more of the science behind this in episode 66, Don’t Eat This Fat. Few concepts will transform your health quicker than this one. Most of us will do exceptionally well on 3 meals per day. When you put food on top of a meal that has not properly digested yet, we create what is called Ama or undigested food, which in the world of Ayurveda is believed to be the root cause of all disease. If you can’t go between meals without a snack, then I highly recommend first taking a look at what you are eating. Determine your body type and then eat right for your type. Whenever you make any changes to your diet you need to give it time for your body to adjust. I needed 3 months for my body to come out of keto and onto a high carb diet. And it was super rough at times, but now I have adjusted and have consistent energy all day, and very rarely need to snack. If this ayurvedic approach still does not bridge the gap between meals, then it may be time to get yourself a mentor and do some hormone and gut health testing. Data can be a powerful healer when you have the right guidance. You already have the most incredible healing system built into your body. You do it every day, so why not make the most out of your sleep? The power of getting good sleep cannot be underestimated, and the best place to start is the time you go to bed and wake up. My challenger for you is to go to bed every night before 10 pm but pick a time that you stick to so your body can develop a routine. This is one way you can start to reset your circadian rhythm. So If you want to be asleep by 9 pm, you need to be in bed by 8:30 pm so you have time to relax, read, make love. Pick a time, set an alarm for when you need to be in bed, and stick to it. Same goes for when you wake up. Eventually, once you have your rhythm all set, you will wake up with a 30-minute window without an alarm. But if you do need an alarm I recommend getting yourself a sun clock which wakes you up with light instead of sound. The last thing you want is a loud alarm shocking you out of your slumber and spiking cortisol levels. The ideal window for me is to be asleep by 9 pm and awake at 5 am. That’s 8 hours of nourishing sleep and I am up early enough to luxuriate in my morning routine. For more inspo on nighttime routines check out episode 5, The Power Of Having a Nighttime Routine. That’s it for the top 10 things you can do today to transform your health. 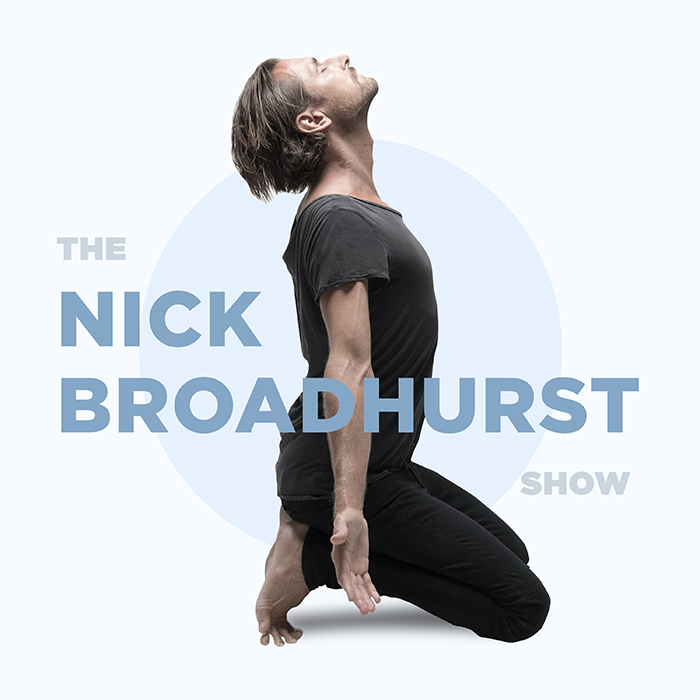 If you would like to take a deep dive into more of this content and see what the longest-lived people in the world are doing, head to iamnickbroadhurst.com/40 and listen to my 10-part Longevity Series. Next week I am going to share with you another health hack which has made the world of nutrition and food so much more simple. And that is… food combining. It’s a topic which causes so much confusion, but I am confident I can boil it down and make it super simple for you to implement at every meal. Great episode, going to get to this right away!! I’d love to hear what device you use to measure your 10,000 steps – Ie, one that is not EMF-y !? You can try the Oura Ring… it’s pretty epic and very low EMF when in aeroplane mode.